we aim to get to the root of the problem and identify possible remedies. Not surprisingly, the chapters show that the strong contraction in aggregate demand is one of the main drivers behind the rise in LTU, but rigid labour market institutions also play a crucial role. This points toward the importance of labour market reforms and their impact on gross labour flows. Large flows are necessary to avoid a quick buildup of LTU, but they turn out to be much less effective in dual labour markets. The eBook also revisits the recent evidence on the role of active labour market policies (ALMPs). Early activation plays a preventive role and well-designed ALMPs may also facilitate the reinsertion of the long-term unemployed. Unfortunately, however, ALMPs and public employment services are particularly weak in the countries, such as Spain, that were most affected by the crisis. Finally, although LTU is widespread in many countries, there are some groups, such as older and low-educated workers, that need special attention. In the EU28, the LTU rate - the number of unemployed workers searching for one year or more as a share of the labour force − doubled from 2.6% to 5% in the period between 2008 and 2013 and the share of the long-term unemployed in total unemployment shot up from one-third to one-half. While it is a less acute problem in other OECD economies, LTU still comprises more than one-third of the unemployed in the OECD as a whole. Another remarkable feature of the latest surge in long-term unemployment is the substantial degree of cross-country variation experienced during the crisis. 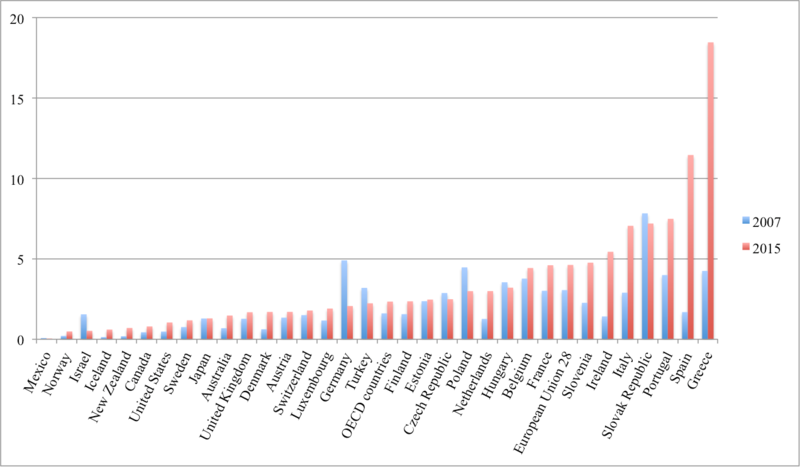 Figure 1 displays the LTU rates of most OECD member states in 2007 and 2015. It reveals a pronounced rise of 3.5 percentage points (pp) or more in four of the so-called programme countries − Ireland, Greece, Portugal, and Spain − and in Italy; which is high compared to the average of 1.6 pp for the EU and 0.7 pp among OECD countries. In contrast, there was a comparatively modest rise in most Anglo-Saxon countries. And in Germany and in a few other countries the LTU rate has actually fallen. At the same time, the incidence of LTU also varies enormously across different groups of workers. Source: OECD.Stat (Annual Labour Force Statistics). Long-term unemployment causes considerable mental and material stress on the affected persons and their relatives and there is abundant evidence that the job-finding probabilites of the unemployed tend to deteriorate over time. Many of the long-term unemployed may therefore soon find themselves at the margins of the labour market, with limited options to return to employment. At the aggregate level, this situation may translate into low growth rates and high structural unemployment. Tackling LTU requires an understanding of its causes. This issue was the subject of intense debates already in the late 1980s, when LTU reached record post-war period highs. As was the case then, economists once again disagree about the degree to which the low job-finding probabilities of the long-term unemployed are the result of duration dependence (where exit rates fall as duration increases, due to skill depreciation, lower search effort, and other factors) as opposed to dynamic selection (where selective hiring, based on unobservable worker characteristics, leads to a deterioration in the quality of the pool of unemployed). Since the late 1980s, however, some European labour markets have undergone profound changes. The Great Recession therefore provides a test to verify whether those reforms have made labour markets less sclerotic and more resilient. Lastly, the crisis has interacted with longer-run, worldwide forces such as globalization and skill- and task-biased technological progress, which tend to hit some workers harder, typically the older and low-skilled, thereby lowering their chances of re-employment. Our eBook contains eight country studies and three chapters on core issues regarding LTU. The country studies document the recent trends and are aimed at analysing the importance of the institutional setup in the buildup of LTU. The choice of case studies is meant to offer a representative sample of countries. The first group, including France, Italy, and Spain, is representative of European countries with rigid labour markets, with Spain being also one of the so-called programme countries that were bailed out by the European Union. Second, Germany and the United Kingdom are examples of countries that reformed their labour markets before the crisis. Next, Denmark and the Netherlands have relatively well-working active labour market policies. Lastly, Poland stands for Eastern European countries that joined the EU after the fall in the Berlin Wall. The cross-country perspective is useful because it allows us to learn a lot about the root causes of LTU and the best strategies to fight it. To some extent, high LTU stems from the same sources as high unemployment. The incidence of LTU is high in countries that suffered large and persistent demand shocks, but their interaction with the prevailing institutions in each country is crucial to understand the observed large cross-country variation. For example in countries like France, Italy, or Spain, demand shocks interacted with labour institutions such as high minimum wages (statutory or bargained), stringent employment protection coupled with an easy access to temporary contracts −i.e. duality− or generous unemployment insurance. This situation led not just to high unemployment levels but also to a relatively high incidence of LTU. Conversely, the labour market reforms undertaken in Germany before the crisis or the more flexible institutions in Great Britain help to explain the lower incidence of LTU in these countries. This evidence points toward the crucial role played by having relatively large labour market flows. These seem to constitute a necessary condition for avoiding a large buildup of LTU, but they are not sufficient, as attested by the experience of dual labour markets, which also feature a high degree of churning. While LTU is widespread in many countries, there are clearly some population groups that are more vulnerable than others. Being at a mature age is a prime risk factor in almost all countries. This is remarkable in the case of the Netherlands, where the unfavourable position of older workers persists despite ambitious measures to both stimulate active search on their part and make their employment more attractive to firms. LTU is also a problem for young workers in France and Spain, arguably in connection to the dual nature of their labour markets. Low-educated workers are usually more prone to experience long unemployment spells as well. On the other hand, the incidence of LTU does not appear to vary much by gender or by immigrant status. Existing studies of plant closings reveal that job displacement not only leads to persistent drops in life-time employment rates and wages, but it also negatively affects workers’ physical and mental health. The accumulation of these problems makes reintegration increasingly difficult. Germany is a case at hand. It managed to reduce the incidence of LTU up to 2011 but since then the process has stalled. A detailed analysis of the core of long-term unemployed reveals that they often face multiple barriers to integration, such as health problems, excessive debt, or housing needs. In the United Kingdom, certain reforms in active policies, such as the Jobseeker's Allowance and the Restart programme, may help to explain why the buildup of LTU over the Great Recession was significantly smaller than in previous recessions. At the same time, however, there has been a worrisome increase in the inflow into long-term sickness and in other countries, such as the United States, people have moved into inactivity. These experiences indicate that any analysis of long-term joblessness should be based on a broad definition that includes nonparticipation, disability, and long-term benefit dependency. In Germany, official definitions imply an underestimation of the LTU share of around 10 pp. In the UK, the long-term sick represent more than twice the number of long-term unemployed and they are shown to also react to economic conditions, quickly in the downswing but sluggishly in the upswing. And in the US, the labour force participation rate is still 3 pp below the pre-Great Recession level. The persistently high levels of unemployment experienced in the aftermath of the Great Recession have revived an interest in the role of active labour market policies and their effectiveness in the case of the long-term unemployed. Recent impact evaluations indicate that ALMPs can be effective tools for reinserting the long-term unemployed, even in the context of a deep recession. Average programme effects are found to be larger for the long-term unemployed than for alternative target groups at all time horizons. Moreover, training programmes and subsidised private sector employment are shown to have the largest long-run impacts on subsequent employment outcomes. However, the design of the ALMPs is crucial. They should be tailored to the needs of each individual and it is preferable to act at an early stage, before workers enter LTU. This requires well-prepared public employment services that are able both to identify those workers at risk of becoming long-term unemployed and to design effective individual action plans. Denmark, with a strong emphasis on early activation, is a good example of a country in which ALMPs played a preventive role, keeping the incidence of LTU under control, despite a pronounced drop in the country’s GDP. By contrast, a crisis-ridden country like Spain still needs to put in place very basic tools to offer personalised attention to the most vulnerable groups. Nevertheless, impact estimates vary enormously from one study to another and not enough is known about how this variance relates to the details of programme designs and participant selection. Ultimately, the success of any policy will depend on our capacity to generate sustained growth. The European Council launched a recommendation in February 2016 calling on the Member States to provide personalised attention to the long-term unemployed. But this initiative will not achieve its goals unless growth rates pick up considerably, which may not be possible without a profound revision of the macroeconomic policy mix in Europe. Besides this call on policymakers we would also like to make a call on labour economists throughout Europe. In the United States the rise in LTU spurred an intense debate among some of its leading labour economists (see, e.g., Krueger et al., 2014). By contrast, in Europe there is very little recent academic work on the sources of and the remedies for LTU, despite the fact that its incidence is an order of magnitude higher in Europe than in the US. Research in this area is plagued by identification problems, but the social payoff from high-quality applied research, offering policymakers clear guidelines for the design of effective policies, is priceless. We hope that this eBook may help to spur progress in this area, by highlighting the need for more work on issues like the following: why dual labor markets do not lead to lower LTU, what is the best strategy for reintegrating mature workers into employment, how to reduce flows into nonparticipation or long-term sickness, how do ALMPs depend on their specific design, or what is the right balance between subsidies and sanctions ("carrots and sticks"). Policymakers should, however, not hide behind the absence of precise prescriptions for the design of ALMPs. The scope for improvement is especially large in some of the crisis-ridden countries, but each country will need to adapt its policies to its own needs and institutional setup. In the process, some of the choices made may turn out to be inadequate. Yet, in our view, the cost of inaction could end up being much higher than any losses generated by those programmes that do not deliver the desired results as long as countries carefully evaluate the impact of their policies. Bentolila, S and M Jansen (2016), Long-Term Unemployment After the Great Recession: Causes and Remedies, CEPR Press. (2014), Are the Long-Term Unemployed on the Margins of the Labor Market?, Brookings Papers on Economic Activity, Spring, 229-280.